It was late at night by the time the van dropped us at our hotel in the mountain village of Cemoro Lawang at the Bromo Tengger Semeru National Park. After checking in we arrange for 2 jeeps to pick us up at 4am for the trip to Mount Penanjakan (2,770 m) to catch the sunrise. I was barely asleep when my alarm woke me up for the 1-hour journey to Mount Penanjakan viewpoint. From the airport to Cemoro Lawang and then to Penanjakan we travel mostly in darkness so I have no idea how the surrounding area looks like. Walking up a short distant to the viewpoint we could see in the distant sky streaks of orange and purple hues started to appear over the horizon. There were already a few people waiting for sunrise at the viewpoint. 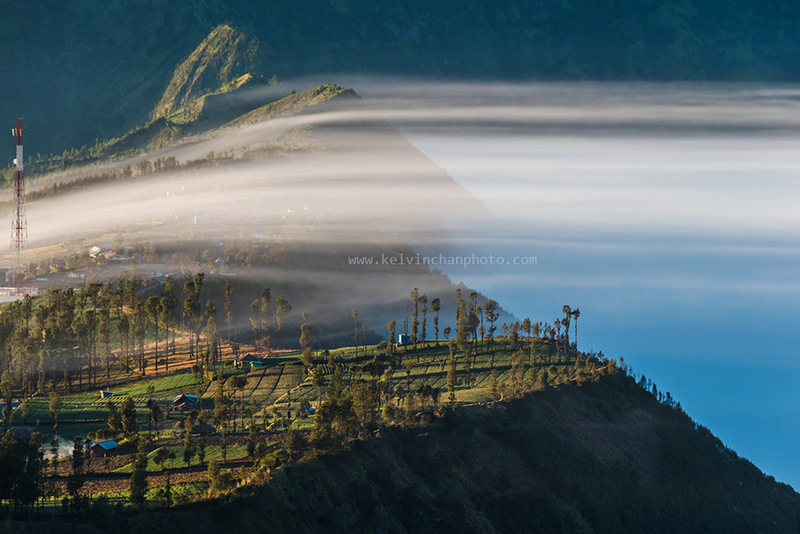 Below us thick clouds float over the huge caldera enveloping the entire valley of Cemoro Lawang. It was an amazing sight. That year was May 2005. Fast forward to June 2015, exactly 10 years and I am back to see these amazing volcanic craters again. 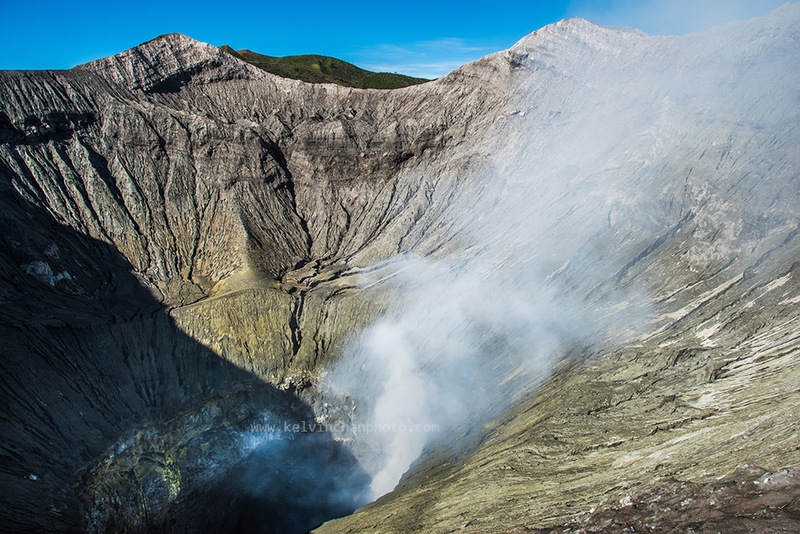 Over the last 10 years the popularity of Mount Bromo has transformed this once sleepy village into a major tourist spot. Old village houses have turned into small hotels, as guesthouses and restaurants lined the main roads of the once quiet village. And incidentally we ended up staying in the same hotel that I stayed 10 years ago. 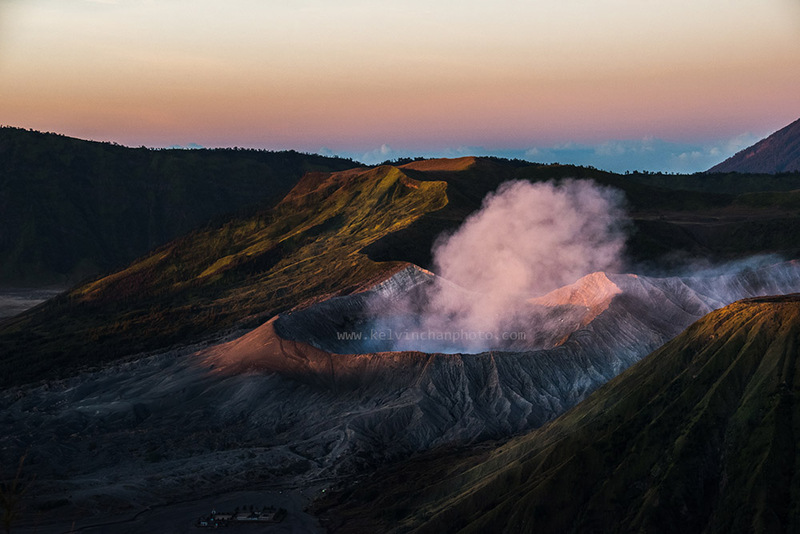 The Cemera Indah Hotel has the best location as it’s located just beside the caldera and you have a panoramic view of the huge Tengger caldera with Mount Bromo siting in the center of the Sea of Sand. But unfortunately the hotel rooms has not changed much after all these years while the hotel ground are kept clean, the rooms are in need of a major makeover. We arrived in Surabaya late afternoon after a stopover at Jakarta. 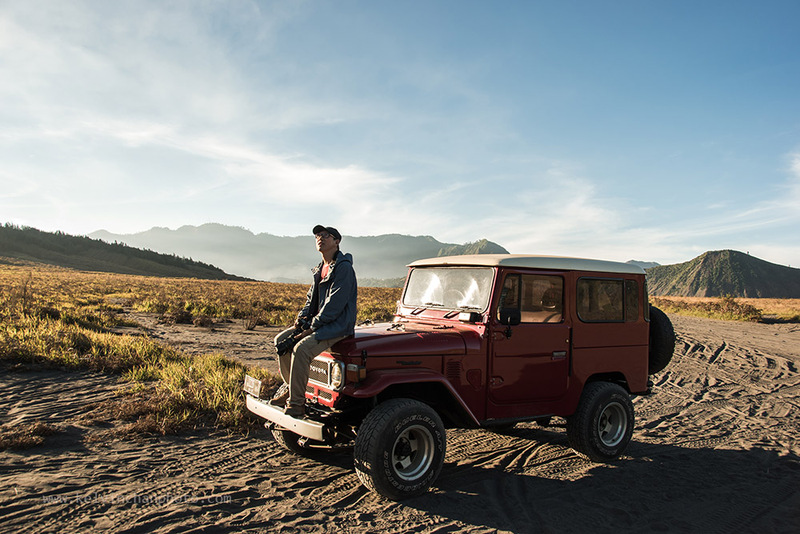 Our local guide met us and we immediately left for Bromo but traffic was a lot heavier then before and after stopping for a quick dinner we finally arrived at Bromo at 10pm. 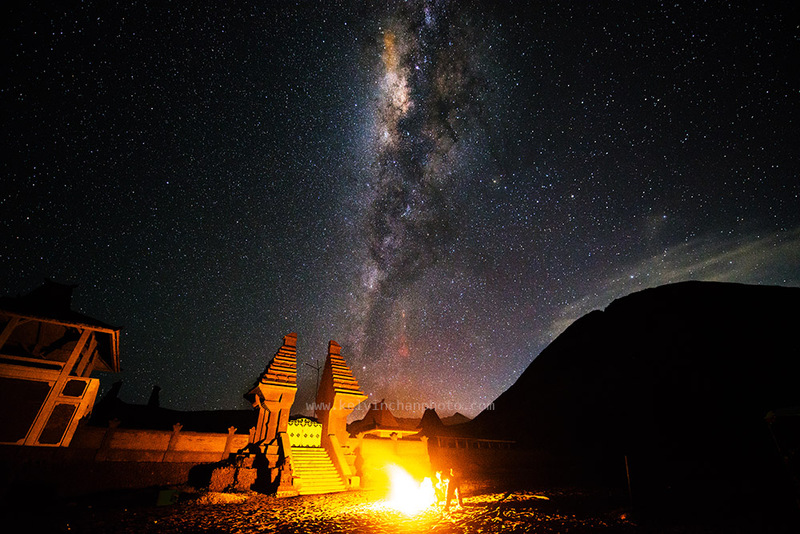 It was a dark and cloudless night with thousand of stars in the sky over the caldera. After quick check in we get ready to go for the Milky Way shoot down at the sea of sand beside the Hindu Temple. Some of us were shooting Milky Way the first time and were naturally quite excited as we could see the Milky Way very clearly in the sky filled with tiny flickering stars. After an hour of shooting it was getting too cold we decided to return to our hotel for a short nap before getting up again at 3 am for the sunrise at Penanjakan. 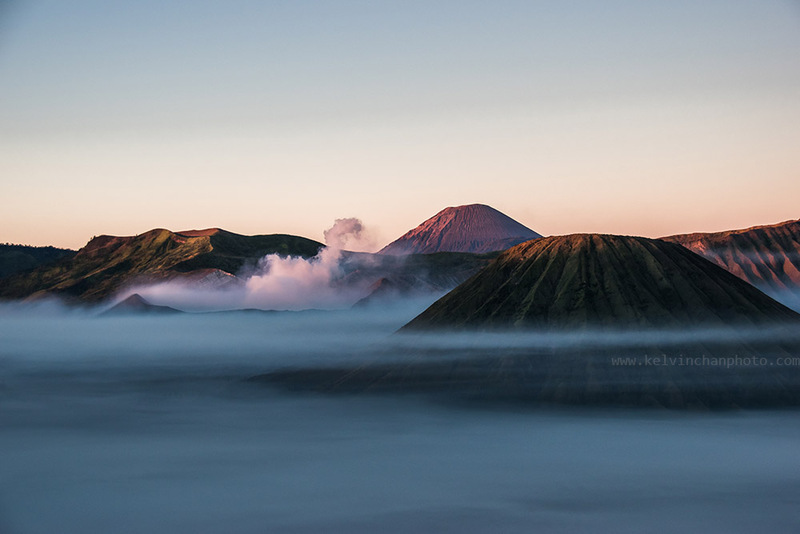 Mount Bromo at 2329m above sea level can be very cold at night while the afternoon is hot. 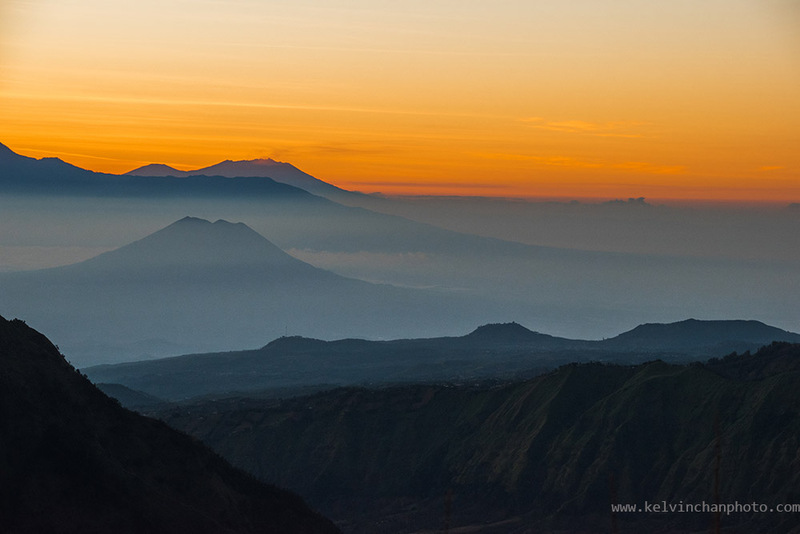 The viewpoint at Penanjakan (2770m) is the coldest before sunrise with temperature dropping to below 10 C. It’s best to wear 2 layers together with a windbreaker if you want to stand comfortably to wait for sunrise but once the sun is up you can start removing your layers. Our group left in 2 jeeps and in front of us there were already a long line of vehicles headlights making their way up to the Mount Penanjakan viewpoint. We were only halfway up when we met with a massive traffic jam that has built up along the narrow mountain road. Seeing that there is no way we can make it up the viewpoint in time for sunrise our local guide, Irsam told the drivers to take another route leading to another viewpoint midway of Penanjakan. 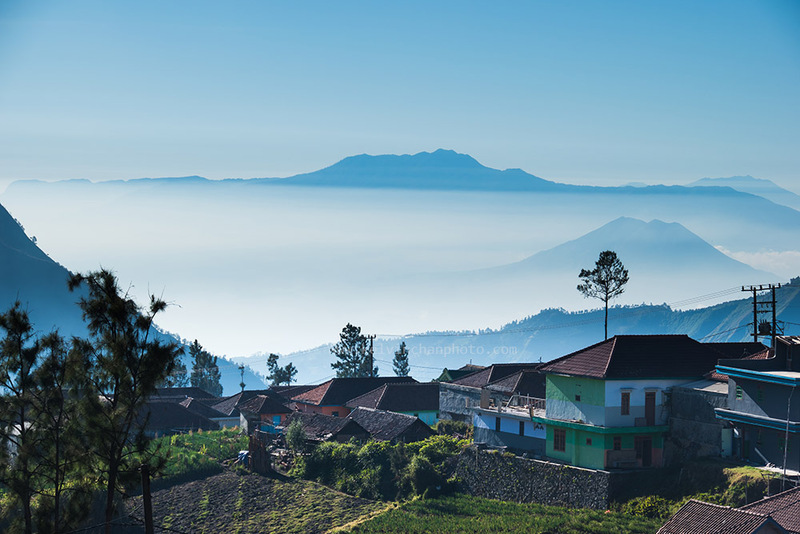 On a good weather day the sunrise here will not fail to amaze you with layer of early morning fogs sweeping over the valley of Cemoro Lawang to Mount Bromo (2329m), Mount Kursi (2581m), Mount Batok (2470m), Mount Watangan (2661m) and Mount Widodaren (2650m). After sunrise we went down to the sea of sand where groups of local had set up stalls selling foods and drinks, and there is also a pay toilet. 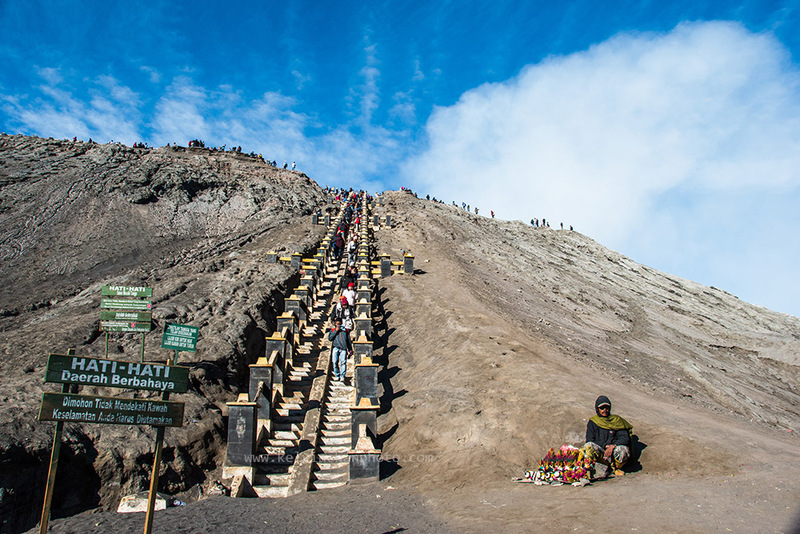 From here you can choose to walk or take a horse to the foothill of Mount Bromo, then is a walk up the hundreds of steps to the rim of Mount Bromo. There will be lots of people standing at the narrow edge of the crater making it difficult to walk and if you are not careful you can easily slip on the uneven and sandy surface. Some tourists offer prayer and threw bouquet of dried flowers into the crater where thick smokes are constantly coming out. 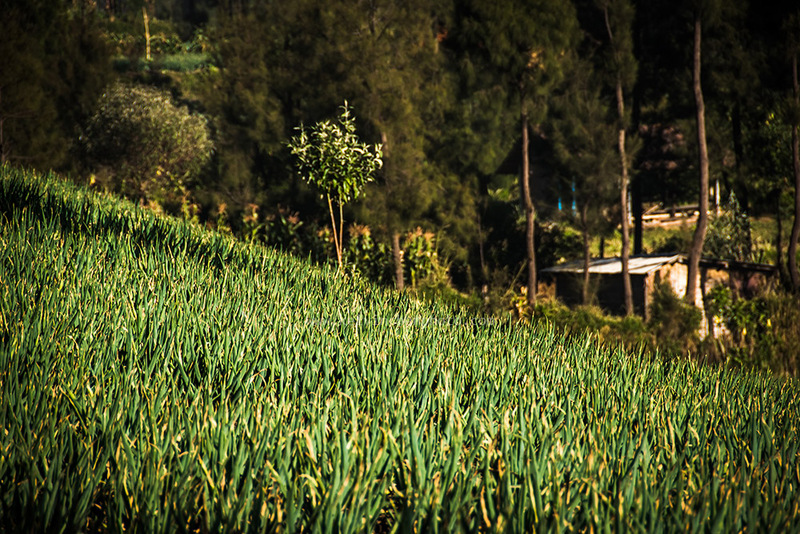 During our 2 days in Bromo, we went to different viewpoints during sunrise and also took a morning walk across the vegetable gardens of the nearby village, where fields of fresh green spring onions are a stark contrast to the caldera of gray and dusty sea of sand.